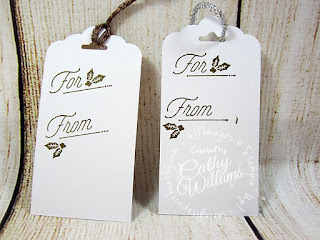 Need a couple of ideas for some last minute gift tags? 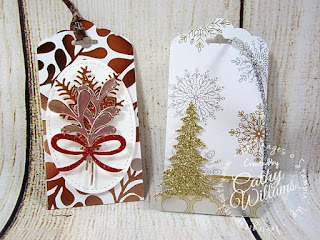 How about these pretty tags using the Year of Cheer Designer Series Paper? I love a shiny tag on my gifts - how about you?